Boston: Little Brown & Company, 2004. First edition of this collection of stories. Octavo, original half cloth. Signed by David Foster Wallace on the title page. Fine in a fine dust jacket. Jacket design by Mario J. Pulice. 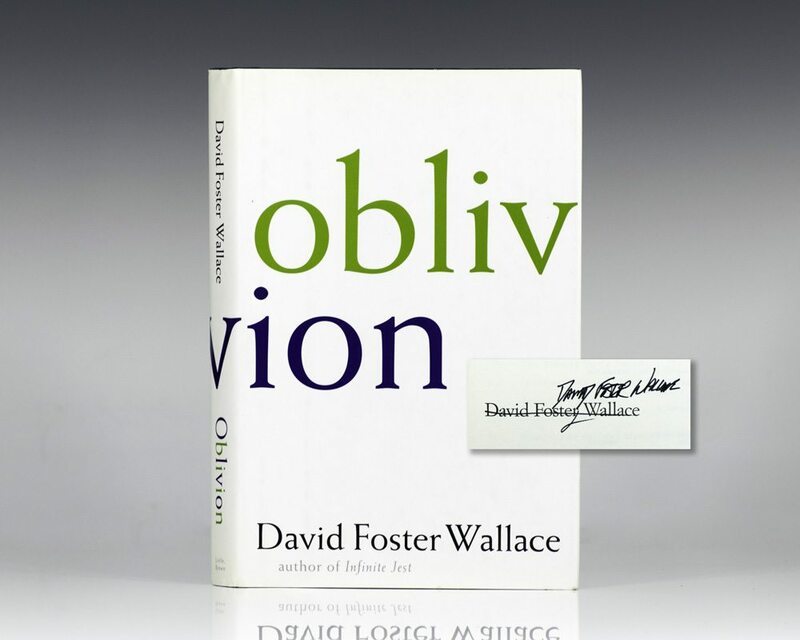 Oblivion is David Foster Foster Wallace's third and final short story collection. "It has breathtakingly smart" stories are "epic modernism," with "big plots, absurd Beckettian humor and science-fiction-height ideas portrayed vis-a-vis slow, realistic stream of consciousness (Joel Stein, Time). It was named one of the New York Times 100 Notalble books of 2004. Prize Stories 1989: The O. Henry Awards. Includes the Story Here and There. First edition. Octavo, original half cloth. Signed by David Foster Wallace on the front free endpaper. Included is the story "Here and There" by David Foster Wallace, which was chosen as one of the best short stories of the year. Fine in a near fine dust jacket with light shelfwear.